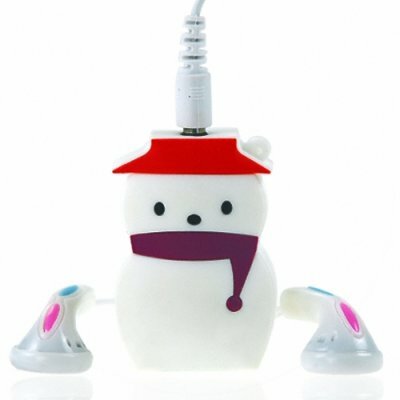 Successfully Added Fun Snowman MP3 Player - Holiday Necklace/Pocket MP3 to your Shopping Cart. Fun Snowman holiday necklace or pocket MP3 player. Cute Frosty Snowman MP3 companion for the winter season ahead. This 1GB MP3 player has simple controls built into the back of the character and an internal rechargeable li-ion battery for hours of enjoyment between recharges. Small enough to be worn as a decorative necklace ornament or put comfortably into any pocket. A great personal MP3 player or gift for people who enjoy Christmas collectibles. This unique Christmas themed MP3 player also makes a good give-away item for company holiday celebrations or store events. The Fun Snowman MP3 Player is only available from your source for wholesale direct from China electronic products, Chinavasion.